News isn’t just a way to learn about current events—it’s also a powerful device that helps shape the way we perceive and understand the world around us. That’s why it’s crucial for journalists to recognize their biases and acknowledge how their objectivity, or lack thereof, can affect the way they tell stories. 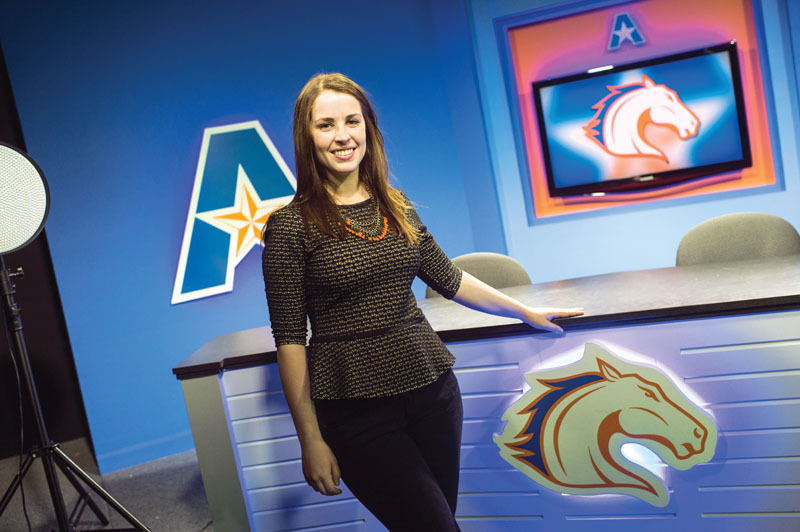 Raegan Cardwell, a 2015 graduate who double-majored in broadcast communication and journalism, explored this dynamic more thoroughly by researching objectivity and the representation of poverty in the media. The work was conducted for her Honors College graduation project under the leadership of Andrew Clark, associate professor of communication, and Kevin Gustafson, associate professor of English. For her research, she worked at Mission Arlington for three months, helping with administrative tasks and assisting clients, while also investigating trends in the media’s representation of poverty and exploring the agenda-setting theory of communication. The latter states that the more news coverage a topic receives, the more the public will view it as having importance.